A robotic paint process used by an aviation manufacturing facility to coat airplane wings utilizes TRICOR Coriolis metering technology from AW-Lake Company to detect the presence of air bubbles in paint supply lines as an early warning of low paint volumes. The automated paint operation includes the application of primer, colour coats and topcoat onto the airplane wings. 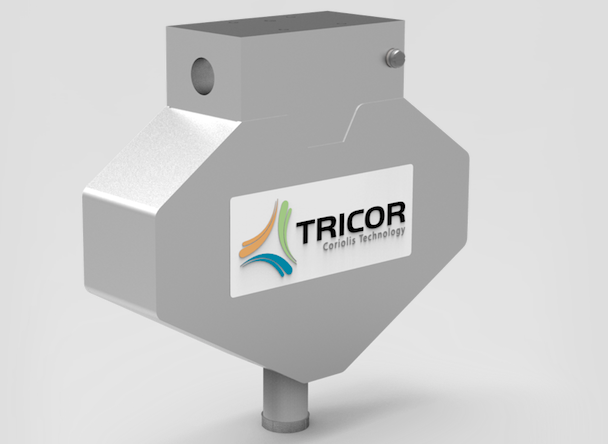 When used in conjunction with servo-driven paint gear pumps, the TRICOR Coriolis Flow Meters also provide high-accuracy flow verification, eliminating a manual flow calibration procedure to save paint and time. The TRICOR CLASSIC Series TCM 0325 Coriolis Mass Flow Meter has a maximum mass flow rate of 325 kg/hr (12 lb/min) or 49 bbl/day. In volumetric terms, this translates to 50-4000 cc/min. The nominal meter size is DN4 (1/8”), and the meter is rated for process pressures up to 200 bar (2900 psi). This feedback to the control system enables the system to track paint usage by type and colour.